What Causes Weight Gain? It’s more than what you eat! 1. Diet: The quantity and quality of food in your diet. 2. Genes: Some people are genetically predisposed to gain weight more easily than others. 3. Physical inactivity: Exercising is a key element of weight control. 4. Sleep: In general, adults who get too little sleep tend to weigh more than those who get enough sleep. 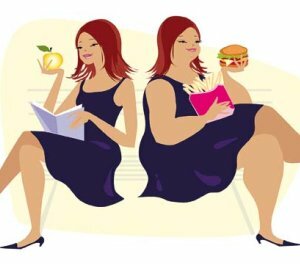 As we age, increased weight gain also increases the chances of developing heart disease, stroke, diabetes, high blood pressure and certain types of cancer. Because most adults between the ages of 18 and 49 gain 1-2 pounds each year, stopping and preventing weight gain should be a priority. Move more. Eat less. Get a good night’s rest!